Prof. Trivia has enthralled audiences of all ages at hundreds of parties with thousands of questions. 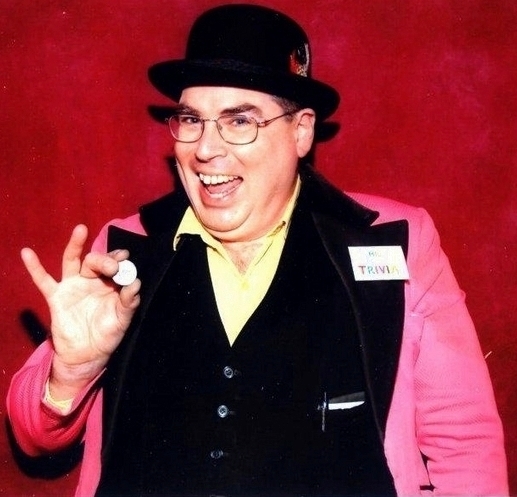 Performing both walk around trivia or in a Quiz Show format, he provides entertaining and amusing trivia questions, delighting young and old alike. With his colorful costume and personal sound system he can be seen and heard in any setting. The performance can be from a short presentation to several hours depending on the event. The Professor has questions on Entertainment, Sports, General Information, History, Music, Science, People and more. His specialty is Movie Trivia. If he has seen it he can ask you a trivia question from it, and he has seen most of them. Custom Trivia can be provided. A questionnaire is available to fill out at no extra cost, or for a reasonable fee more involved custom questions are available.